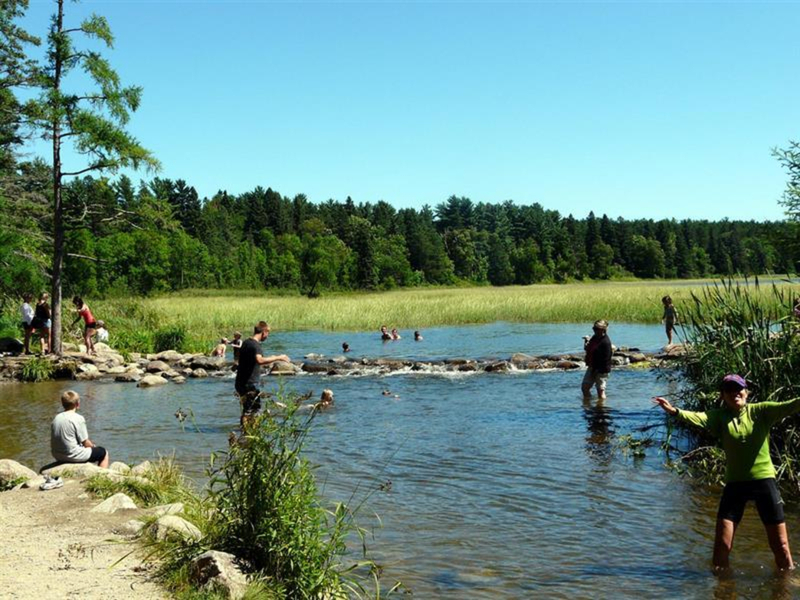 With over 32,000-acres of glacial landscapes, 50-miles of hiking trails to explore, and the modest mighty Mississippi’s headwaters to swim in, Itasca State Park is an absolute must-visit. 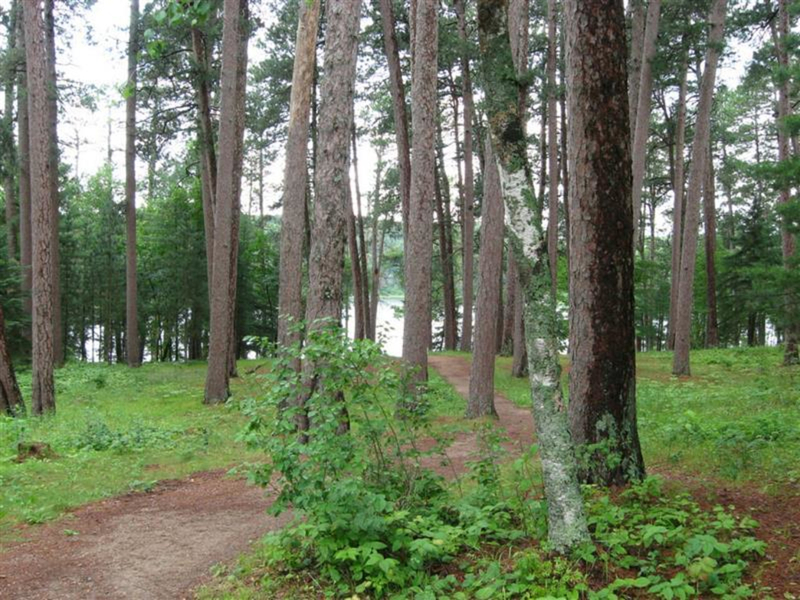 Minnesota’s oldest State Park, and the second oldest state park in the United States (second to Niagara Falls State Park), Itasca State Park’s dense pine forests have remained relatively unchanged. Thanks to the work of historian and anthropologist, Jacob Brower and his efforts to protect the virgin red pine forests that surround Mississippi’s headwaters, the park has remained in its natural state since its establishment in 1891. 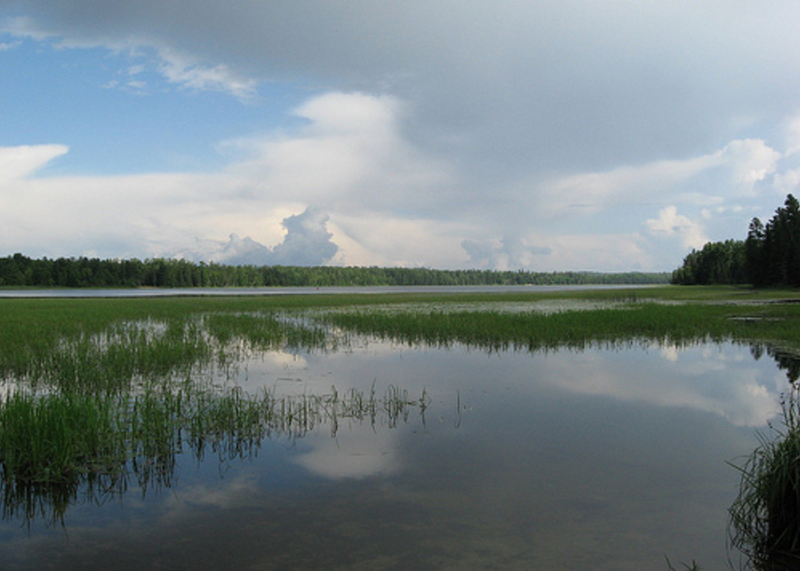 Lake Itasca State Park hosts 32,800 acres of 200 year-old red pine forest, 157 lakes of varying size strewn about the park, upland hardwood forest, and lowland swamp. With its variety of nature to explore, no wonder it is a famous North American natural and cultural landmark. If you want to introduce the world of camping to a new partner or to young children, Lake Itasca has all the amenities you need. There are two campgrounds, 152 campsites, and a handful of 4-season cabins to choose from. Backpackers can decide to hike up to 5-miles out into the wilderness and have their choice of 11 walk-in campsites. Whether for a romantic night of stargazing or a family experiencing their first ever camping trip, this park provides the perfect weekend getaway. 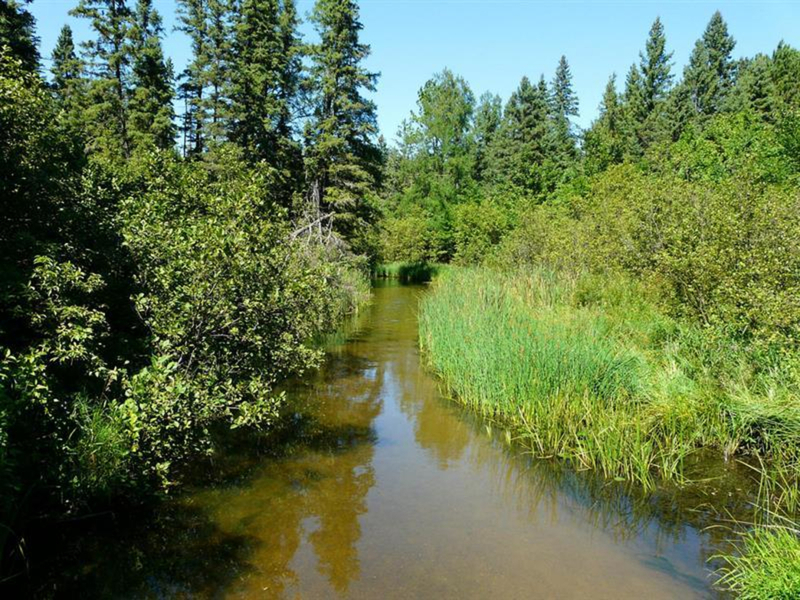 One of the main attractions for Lake Itasca State Park is visiting the headwaters of the Mississippi River. 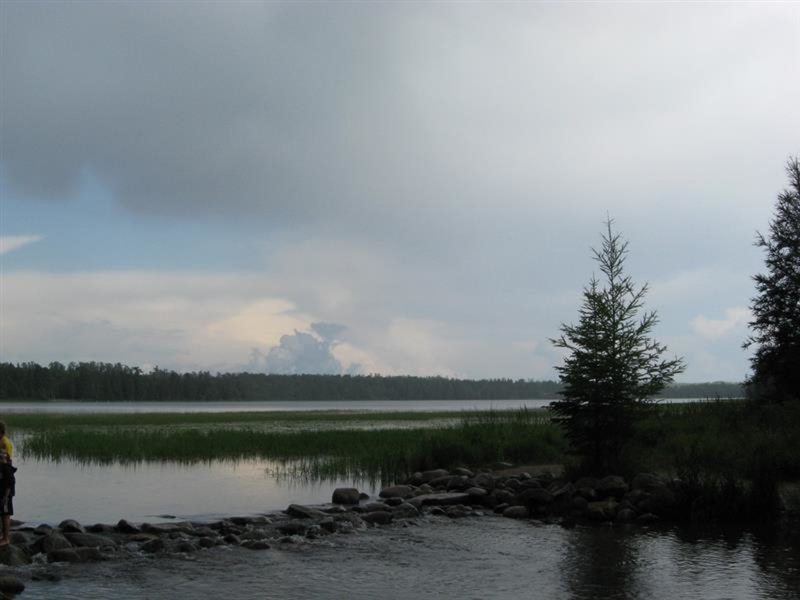 It is hard to believe that the relatively small Lake Itasca hosts the modest beginnings of the Mississippi’s 2,552-mile journey to the Gulf of Mexico. While splashing in the small creek, it is hard to not enjoy knowing you’re at the very source of what becomes such a mighty river. The park hosts a vast variety of plant and animal species. In the spring and summer, walk along the boardwalk and look for delicate orchids growing along the swampy shores. In the fall, park naturalists can help you identify migrating bird species, such as cormorants, trumpeter swans, common loons, and hummingbirds. Aiton Heights Fire Tower, where you can see the rich oak and aspen autumn colors, provides amazing views throughout the year. Hikers can explore the glacially formed landscape via the expansive 50-miles of trails throughout the park. There are even sixteen miles of paved bike trails, offering another family-friendly activity. In the northern corridor, virgin pine forests dominate the landscape and humble the hikers that walk beside them. 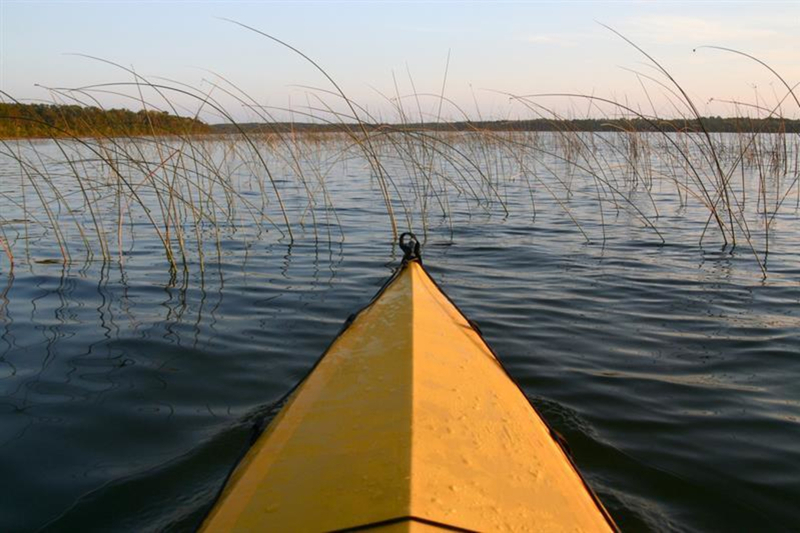 The rest of the park is dispersed with marshland and mixed pine and hardwood forest complexes, all of which offer some of northern Minnesota’s most scenic views outside of the Boundary Waters Canoe Area. Though Minnesota is known for its flat terrain, the southern corridor offers rustic trails with short, steep climbs. The best backpacking sites are found in this area, providing amazing views of Hernando DeSoto Lake and exciting wildlife opportunities. Hikers deep in the woods share the forest with white-tailed deer, black bears, beavers, loons, and wolves. In the morning, you will be awoken by the alluring loon call and, as you fall asleep, you may be lucky enough to hear the howling of a distant wolf pack. Itaska State Park is the perfect park to take a long weekend and get lost in it’s serene woodland. Not to mention that the views of Lake Itaska and swimming in the Mississippi River’s headwaters are just a taste of what Lake Itaska State Park has to offer. During the summer, the park office is open daily from 8 a.m. to 10 p.m. During the winter months, it is open from 9 a.m. to 3:30 p.m. This park is gigantic and there are parking lots strewn about. The most common starting points are from the visitor center to the southeast or the Mississippi Headwaters to the north. Depending on what trail you choose, there are parking lots at most major trailheads. For some of the best trails, you have to venture a few miles into the forest.